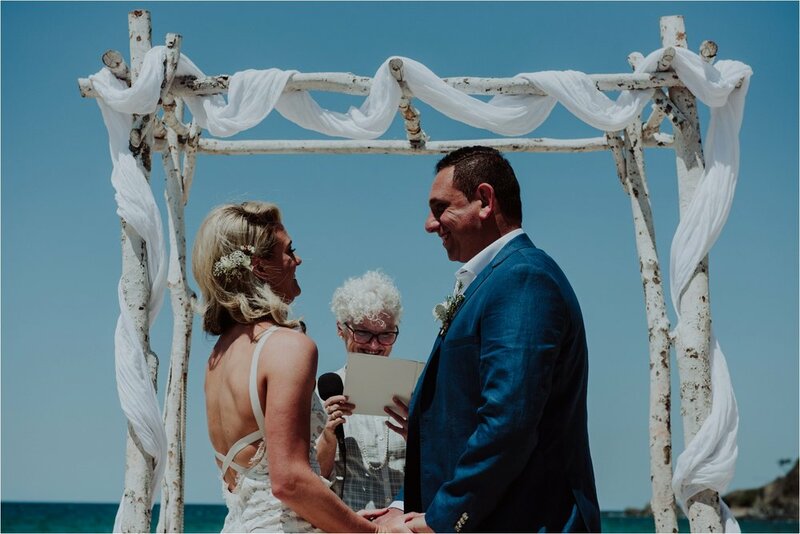 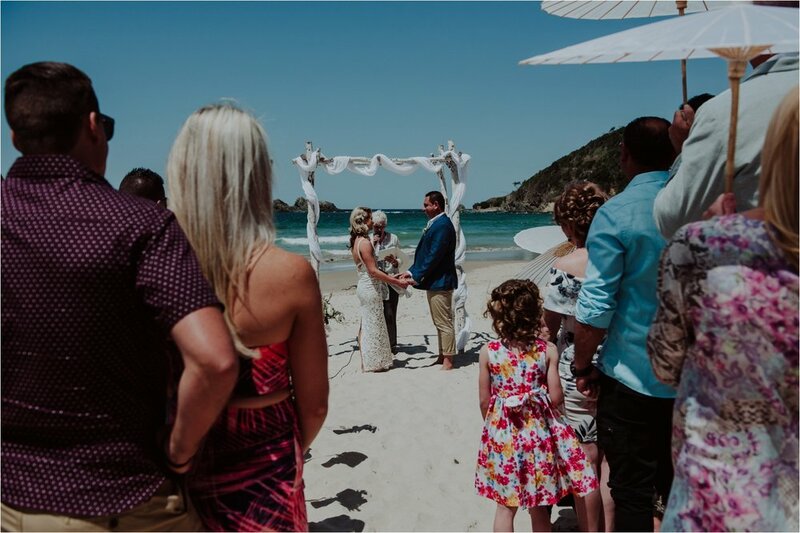 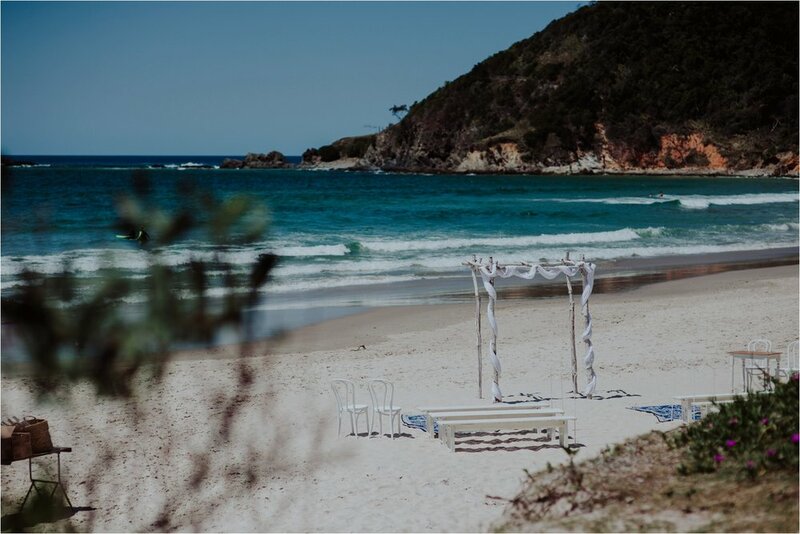 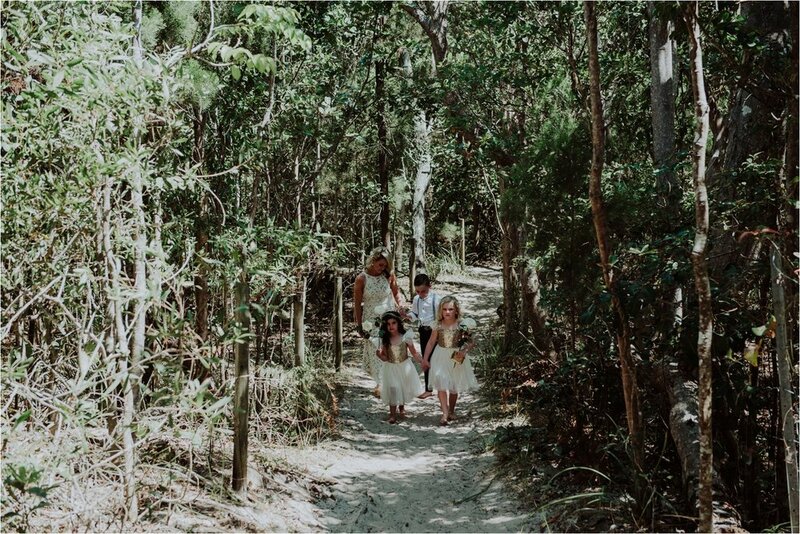 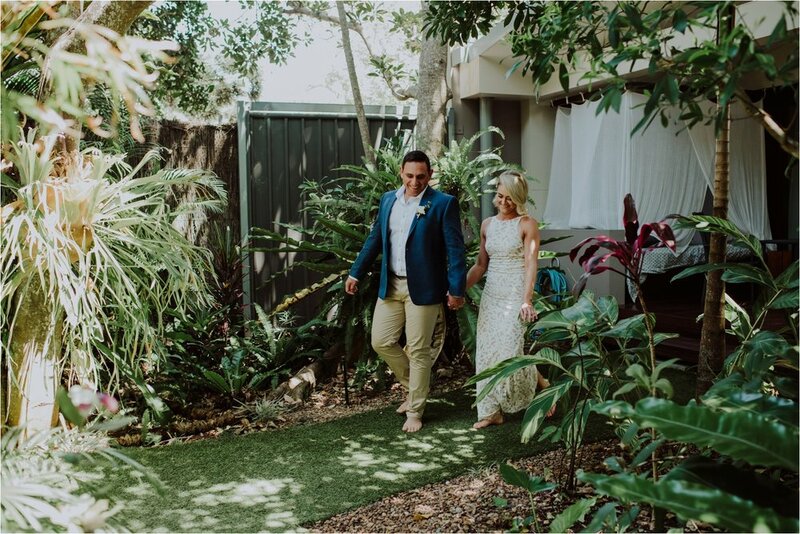 Sarah & Michael had a beautiful casual beach ceremony and relaxed party feel reception at the secluded Barefoot at Broken Head wedding venue in the idyllic Byron Bay region. 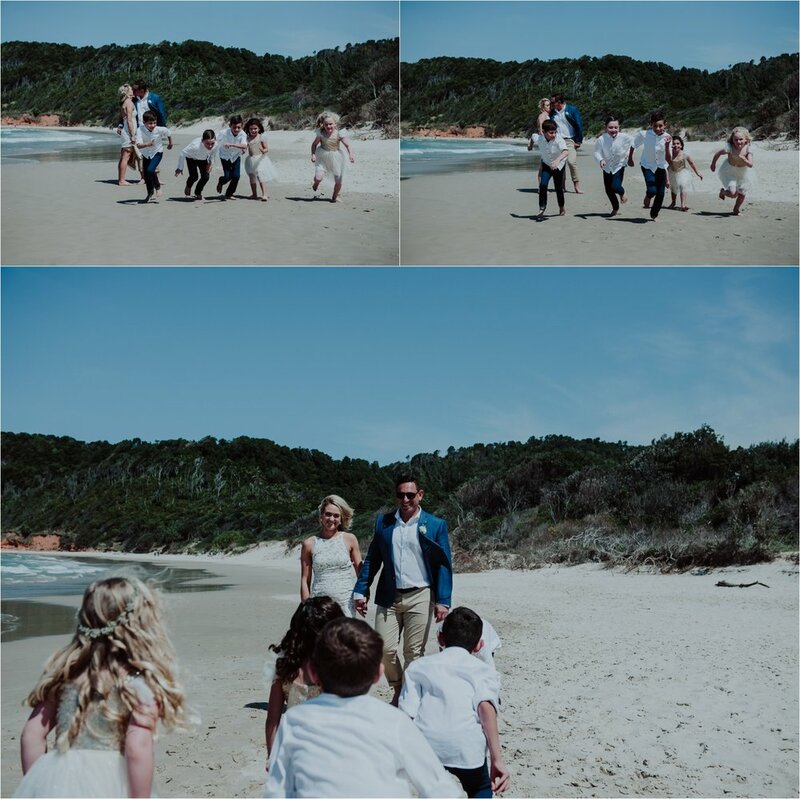 It was a second wedding for both Sarah & Michael and the formalisation of the blending of their 2 families that include 5 gorgeous and cheeky kids. 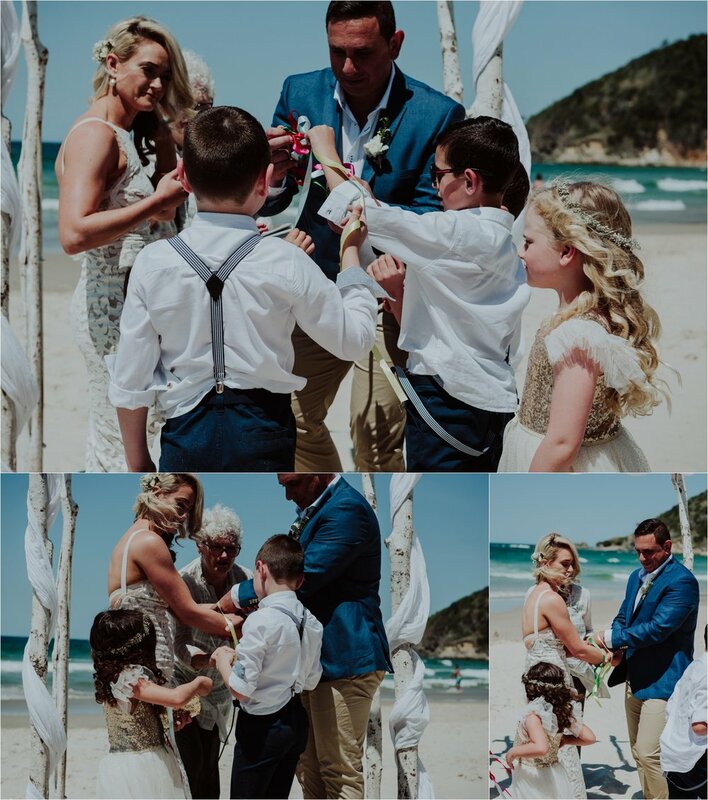 Sarah looked absolutely stunning in her Grace Love Lace gown and their gorgeous flower girls looked so sweet in their Arabella and Rose gold sequinned trim flowergirl dresses. 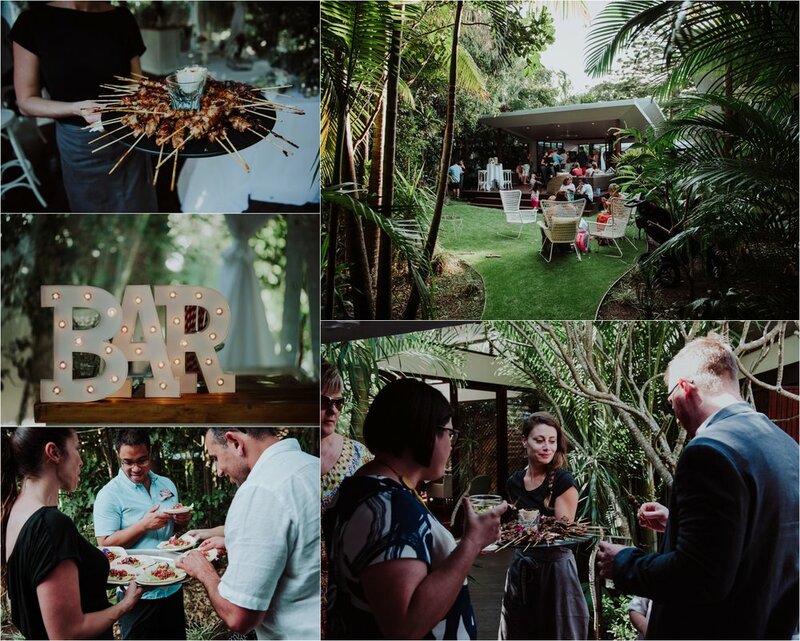 The Byron Bay Weddings crew once again provided the perfect venue, coordination and catering for this private Byron Bay wedding. 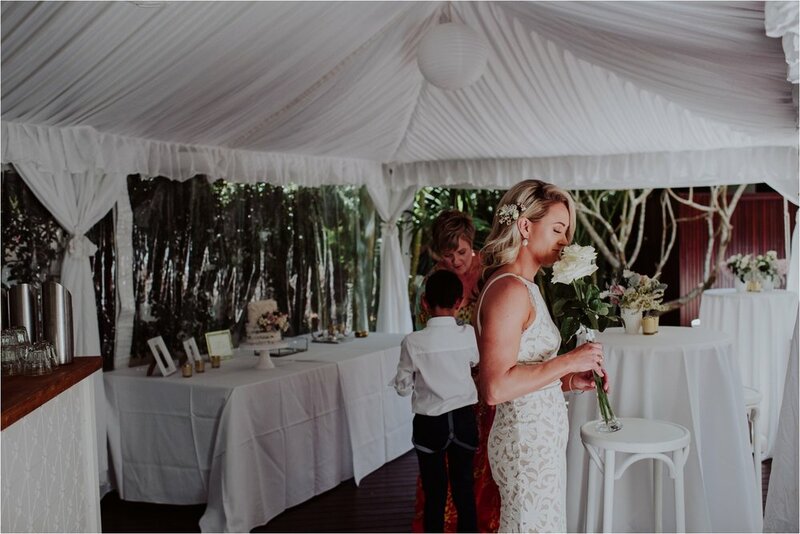 Luke & Sebastian added ambience with their acoustic guitar entertainment and all guests enjoyed the cocktail style relaxed wedding. 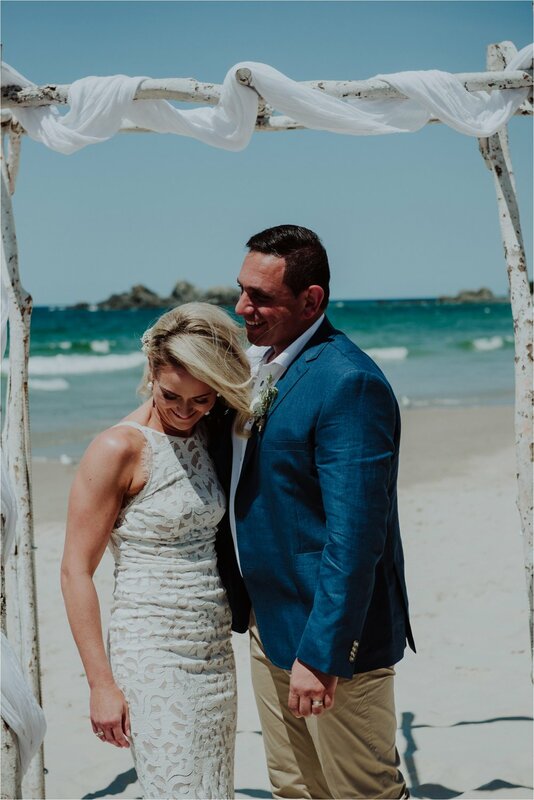 And a special mention to the most divine 2 tier wedding cake by Rebellyous Cake Co that included bottom tier dark choc mud/ top tier coconut Lime covered with coconut chips both tiers layered with whipped white choc ganache, styled with flowers supplied by The French Petal. 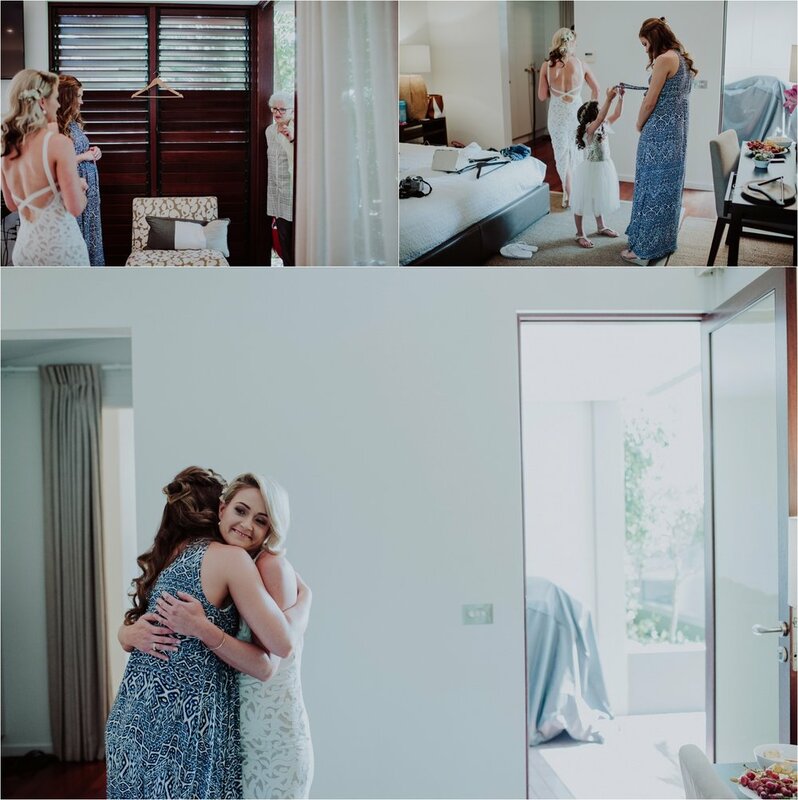 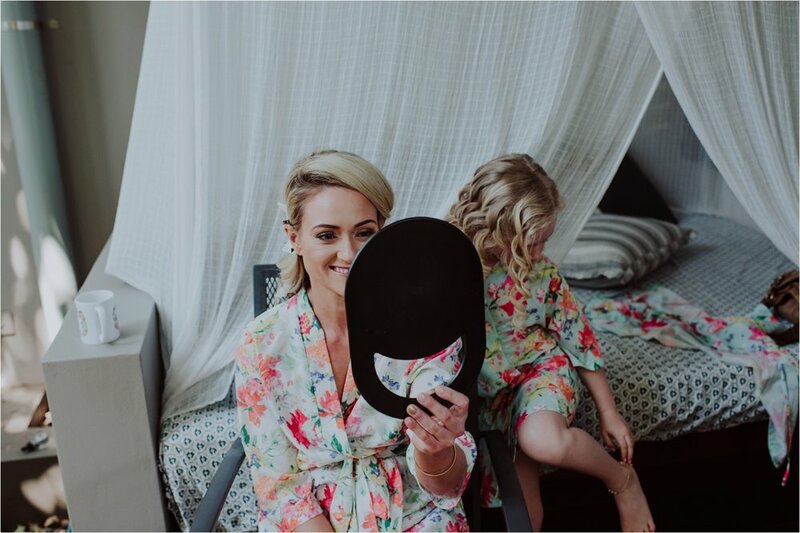 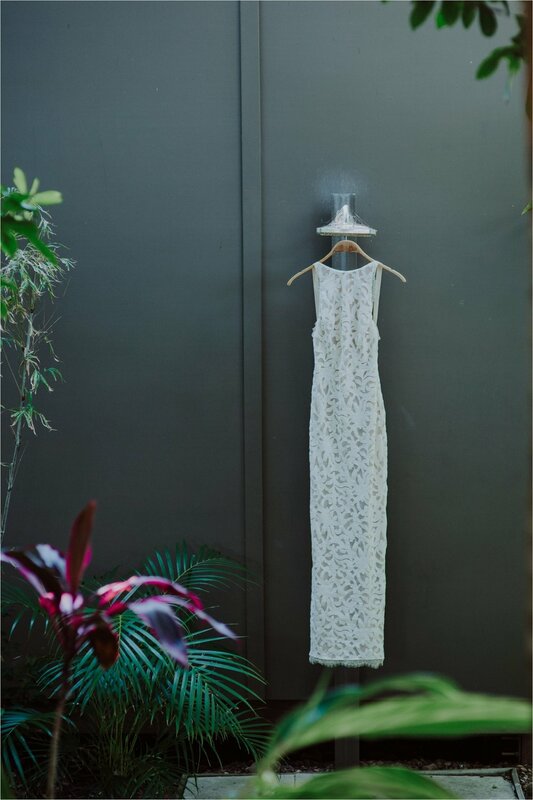 Makeup & Hair - Byron Bay Wedding Hair Co.